Each street in Beirut has a story to put across and the older the street the more stories it can pass on. Beirut was best described in a poem written in French by Nadia Tueni (1935-1983). No place in Beirut is a greater repository of “thoughts and caravans” than Bliss Street of old. Its nerve center was the modest Faisal Restaurant. The now-defunct eatery was indeed the “last sanctuary” for the pan-Arab intelligentsia. The street is named after Dr. Daniel Bliss, the American missionary who founded the American University of Beirut in 1866. It runs in a straight line for hardly a kilometer along one side of the AUB campus. It starts at the university’s Medical Gate, goes past its Main Gate and ends at Ras el-Khatt, or “end of the (tramway) line.” But the tramline connecting Furn el-Shebbak to Manara at the tail end of Bliss was discontinued in 1963. It is claimed that if someone asked for directions to the Main Gate, the answer came, “Facing Faisal’s.” Another legend suggests that when Gamal Abdel-Nasser in his heyday wanted to gauge the Arab street mood, he would ask to be briefed on the atmosphere at Faisal’s. Throughout the Fifties and Sixties, center stage at Faisal’s belonged to the soft-spoken Monah el-Solh, Lebanon and the Arab world’s tireless éminence grise. 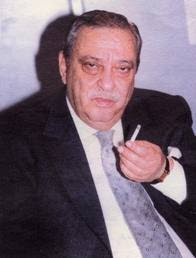 No writer captured Faisal’s relevance to the Arab world better than Nabil Khoury (1929-2002). He was the brilliant journalist, communicator, essayist and author next door. In the midfifties, he and his wife Marcelle rented a flat right above ours in the Faddoul Building close to the Commodore Hotel in Ras Beirut. I was still at university then, but he was already working his way up to become head of programming at Radio Lebanon. 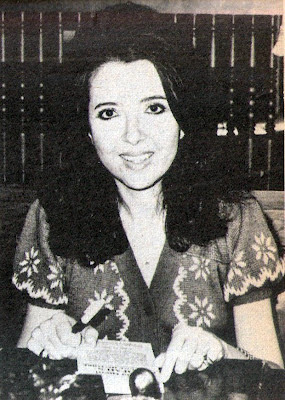 He set up and edited a women’s magazine, al-Hasna’, and served as editor in chief of Lebanon’s leading political weekly, al-Hawadeth, before moving out to Paris. In 1977, he launched from Paris a prestigious pan-Arab magazine, al-Mustaqbal. I saw him last when I visited his plush Paris offices around that time. Shortly after the Lebanon civil war brought down the curtain on Faisal’s in end-June 1978, Nabil Khoury wrote a succinct commentary of fewer than 200 words. It read more like an obituary of the Arab world than a graveside eulogy of the restaurant. No one hurled a funeral flower at its internment because most were either faraway or exiled…! It was the last bridge, the bridge of no return. Tewfik Saadeh founded Faisal’s around 1919. He was a native of Ain Saadeh, a village in Lebanon’s Metn district. The name "Ain Saadeh" refers to the town's natural spring and means "Spring of Happiness." On his death, ownership of the restaurant passed to his son Farid. -- “We leave together or stay together,” Farid told the men manning the barrier. A typical Lebanese compromise was reached: we would be escorted together under arms and placed under house arrest at the nearby home of Farid’s widowed mother. After 18 hours there, the Lebanese army took over and dismantled militia barriers throughout the country. We were free to go. Farid married and settled late in life after living for several years in a first floor flat almost above Faisal’s. He was a charming bon viveur. He liked his liquor, enjoyed card games (Bido, Poker and Quatorze), appreciated sports cars (he drove a stunning 1955 Ford Thunderbird convertible) and loved Spanish women, which is why he was so fluent in Spanish. Funding that lifestyle drove him to sell part of Faisal’s title to George Baroody, who steadied his hand. The latter also took over the day-to-day management of the restaurant with help from his brother Elias Baroody and a quasi-accountant, Emile Shu’aib. Faisal’s four lasting waiters were an ageing Michel, a burly Ameen, a wily Nayef and an amusing Anwar. They were the AUBites’ friends, consultants, food advisors, and small moneylenders on occasion. One sidesplitting story about Anwar: He was serving three regulars sitting around a table for four. All asked for Turkish coffee. One wanted it “sweet,” the other “medium” and the third “without sugar.” Anwar disappeared for a few minutes and came back with three cups and one cezve (ركوة). He served the student who wanted coffee “without sugar” first. He then shook the cezve gently and served the “medium” before giving the cezve a good shake and serving the “sweet.” He explained later that he did not stir the sugar at all when preparing the coffee. He thought it was easier to let the sugar settle at the bottom of the cezve and control the degree of sweetness with a shake.